DCT masterpiece drawing on strengths of the multi-award winning Maestro Interconnect with an even greater degree of transparency, detail and three-dimensionality. Earn 395 loyalty points when you order this item. 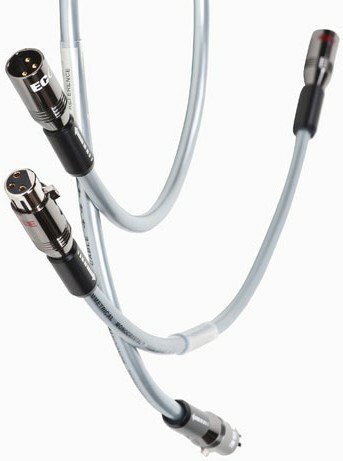 Ecosse Master Reference 2.0 DCT XLR Interconnects shares the same benefits of quality material, construction and termination as 'The Maestro', but now the cable is triple screened; the Monocrystal-Cu signal and return conductors in a twisted pair topology are further protected from EMI/ESI/RFI noise ingress by both a Copper/Mylar 100% shield and Monocrystal Cu close-lapped braid screens. In addition, modulation effects due to microphony are all but eliminated by cotton fibre filler and the soft PVC outer jacket, the cable is then deep-cryogenically treated (DCT) to ensure an extremely uniform, refined and dense microstructure with vastly improved mechanical properties. Deep Cryogenic Treatment is the process of cryogenically cooling a material over a measured period of time. The process is described in these terms since typically temperatures approaching 200C are achieved, and this occurs over a period extending to days rather than minutes or hours. All stages of the process, from the initial slow cooling to the prolonged soak at minimum temperature, through to a carefully staged return to ambient temperature are achieved with precision measurement and computer control. Specifically, for non-ferrous metals (such as Monocrystal copper and silver)- Subzero treatment of the material at these temperatures results in reduced residual stresses in both conductor and dielectric. Deep cryogenic treatment at temperatures of -185'C further enhances the materials properties. By slowing down atomic movement, the internal molecular bonding energy is increased which promotes a pure structural balance throughout the mass of the material. The Master Reference SE differs from The Maestro Interconnect in that the two paths for the signal are electrically identical with a separate screen. This topology is called 'symmetrical; Wired in a 'pseudo-balanced' fashion with the screen connected at one end only to drain unwanted 'noise' (R.F.I). For 'fully- balanced' systems, the 'Master Reference' is terminated with Audiophile-Reference quality all-Monocrystal copper XLR plugs. This interconnect, due to its construction, is directional and an arrow on the sleeve indicates the appropriate direction. It is equally at home between pre and power amp, between CD and preamp or as tonearm cable. The Master Reference exhibits vanishingly low noise and while eminently suitable for all line-level equipment, its low noise performance makes it positively shine between turntable and phono stage. In the right set up, where your system has the ability to resolve ever the finest levels of detail, it will outperform ALL its predecessors. 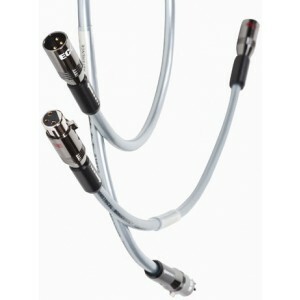 It is recommended to match this cable with one from the Monocrystal 'speaker' range for the ultimate audio experience; try it with MS4.45 pre-terminated bi-wire combination or better still a new SuperMonocrystal type. The terminations at the ends of cables are part of the transmission path and therefore vital to it. The signal can be severely compromised by poor, compressing plugs that grip the cable with a grub screw or a collett action. The cable loses its integrity and the impedance can drop to somewhere in the region of 35 Ohms resulting in reflections and deletions. To maintain continuity and optimum conductivity, these contact points are made from deep silver plated Monocrystal copper same as the conductor wire itself. The plug casing is precision machined from highest quality copper alloy and is deep-plated. This thick casing offers further shielding - effectively a second 'Faraday Cage' - and reduces the ingress and radiation of EMI, ESI and RFI 'noise' even further, to virtually zero. The interface of shield* and casing is one of high mechanical impedance, dissipating energy and rendering microphonic effects negligible.